If you wish to extract audio track from online videos, Wondershare UniConverter (originally Wondershare Video Converter Ultimate) also provides you a quick and direct way out working as a MP4 to MP3 converter. 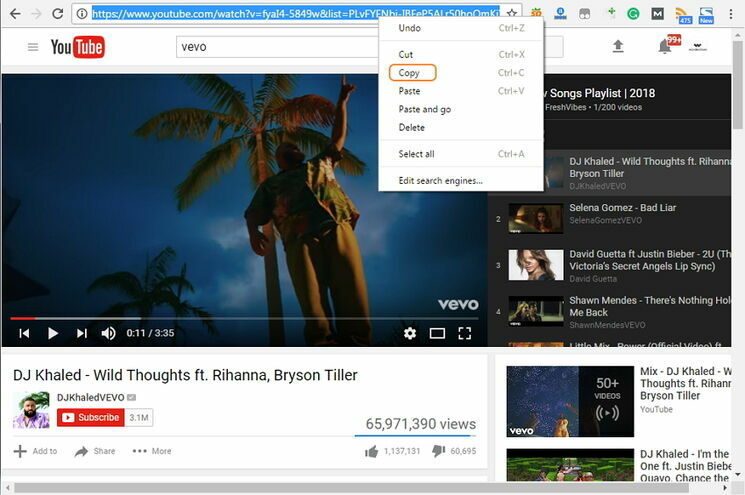 Find the video that you want extract audio first, then copy its URL from the address bar. Launch Wondershare UniConverter (originally Wondershare Video Converter Ultimate) and click Download section in the top, then click the drop-down icon beside +Paste URL and select Download MP3. The program will start downloading the audio track of the video immediately, and the progress bar shows the download speed and remaining time. When it ends, you can see the extracted audio file in .mp3 under Finished tab. 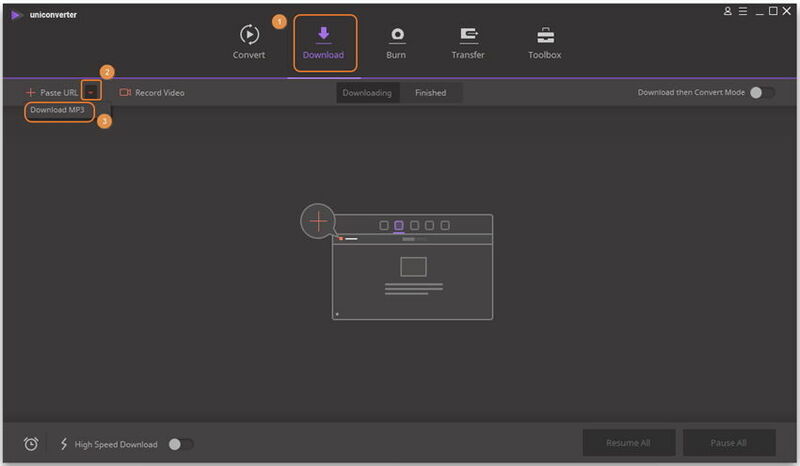 Note that all the downloaded videos will be automatically saved to a folder named UniConverter Downloaded on your computer (created by the program). You can easily access it by right-click downloaded videos under Finished tab and choose Open File Location. FYI, please check Download Video Tips for more downloading tricks.